With the recently concluded auto fiesta in the country, Manila International Auto Show 2016, a lot of new additions in auto market have been encountered while some other are highly awaited. One such vehicle, which is awaited to land on the Philippines shores is Chevrolet Cruze 2016. Chevrolet Philippines is ready to append its model line-up with this new contender, but the date is yet to be finalized. Whether it's the charming exterior, elegant and sophisticated interior, impressive performance or technology you crave for, the new Cruze has it all. 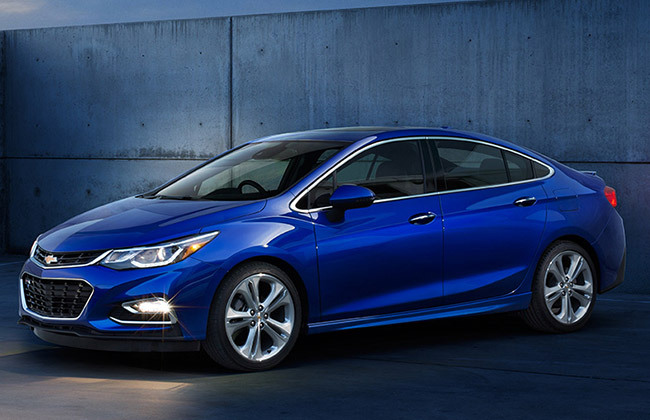 The prestigious American brand had already been the hot topic after it revealed the hatch version of the 2016 Cruze at the NYC Auto Show 2016. This made the Filipinos all the more expectant and thrilled about the upcoming 2016 Chevrolet Cruze sedan, which has already graced some parts of the world. Now, it’s time for the Filipinos to witness the splendor of luxurious road beauty. The new Chevy city smart sedan is built on a brand-new platform, which is bigger yet leaner and enhances its efficiency to a great extent. The weight of the car has been shed off, which highly contributes to the Cruze's efficient performance, clocking 0 to 100 kmph in just 8 seconds. The new luxury sedan from America suits the urban lifestyle with all-new standard 1.4-litre turbo engine, which can churn out a maximum power of 153 hp and peak torque of 240 Nm. Mated with a six-speed automatic transmission, this engine is capable of returning the fuel efficiency of 17 kmpl, which provides extra thrust to go an extra mile. This sporty ride is aesthetically crafted to make a statement and turn heads wherever you go. This new drive redefines the definition of the premium executive sedan with its striking new looks, aerodynamic structure and revised front fascia. The new fascia accounts for the projector beam headlamps with LED DRLs, exclusive grille and nicely contoured bumper. Constructed of 8 percent high-strength steel, the new Cruze also rocks 18-inch alloy wheels adding more to its sporty persona. To complement its stunning exterior, the new Cruze is a host of comfort features like multifunction steering wheel along with the digital connectivity via a suite of street-smart technology. In addition, the new 7-inch MY-LINK Touchscreen infotainment system, built-in 4G Wi-Fi and advanced phone integration which makes you connected to the outer world. The interior also screams elegance and comfort with a host of premium convenient features like leather upholstery with heated front and rear seats as well as heated steering wheel. The ride also has an added feature of acoustic laminated windshield which ensures that no outer noise creeps in making your drive even more enjoyable. 2016 Chevrolet Cruze is also packed with a unique combination of safety technologies like rear cross traffic alert, lane keep assist, forward collision alert to prevent and protect you in case of sudden collision.